Liquid Smoke Ingredients: What’s Behind The Flavor? Smoking started out as a way to preserve meat out of necessity rather than because people liked the taste, but people did eventually grow to like the smoke flavor. As a result, we continue to smoke food even though most of us have refrigeration readily available. Liquid smoke meets the need for smoke flavor and has the benefit of providing that flavor without the hassle of actually cooking over an open flame. Liquid smoke is exactly what you might expect from the name—a liquid that provides the taste of smoke without the need to actually smoke your food. Liquid smoke is used in a variety of different food products ranging from barbecue sauces to smoked sausage. Many prepackaged smoked meat products are never actually smoked in a smoker. They contain liquid smoke and that is all they need to do for manufacturers to claim that they are smoked. Furthermore, liquid smoke is considered natural, which means that a manufacturer can add it without disclosing its presence to the consumer. 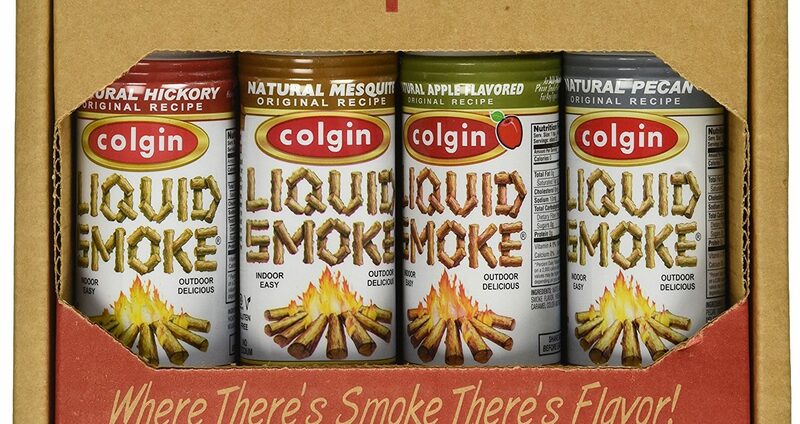 If you enjoy the flavor of smoke, you too can make use of liquid smoke. It is a great addition to dishes like chili as well as to homemade barbecue sauce. The smoke flavor comes from a smoke condensate that is listed as natural smoke flavor. In order to make this condensate, wood has to be burned at very high temperatures. The wood used may be in the form of chips or sawdust. Manufacturers can use any type of hardwood typically used for smoking food to provide smoke flavoring. The wood is burned and the smoke condensate is collected in condensers as a liquid with the flavoring properties of the burned wood. That liquid can be further concentrated to give it a stronger flavor. In other words, the smoke flavor in liquid smoke is actually from smoke, not some laboratory-made imitation of it. The use of the liquid derived from smoke is not new. Such liquids have been valuable from as far back as the time of Pliny the Elder who praised its effectiveness as an embalming agent. It was useful for this purpose because the condensate from smoke has some of the antibacterial properties that make smoke good for preserving meat. Many brands of liquid smoke offer products flavored by the most popular hardwoods, so that you are able to choose the specific smoke flavor that best suits your dish in liquid form. Along with smoke flavoring, many liquid smoke brands also include molasses and vinegar as flavoring additives. Both of these ingredients help to enhance the flavor of liquid smoke and thus the dishes in which it is used. Spices and caramel are also often included for the same reasons. The molasses and caramel can give a deeper color to dishes that is evocative of smoked food. It is important to note that because smoke flavoring contains real smoke, it will also contain carcinogens. These will usually be filtered out during the production process. The filtration renders liquid smoke safe to use in moderation.